Looking younger doesn’t mean you need to have surgery, deal with scalpels, or undergo long recovery times. 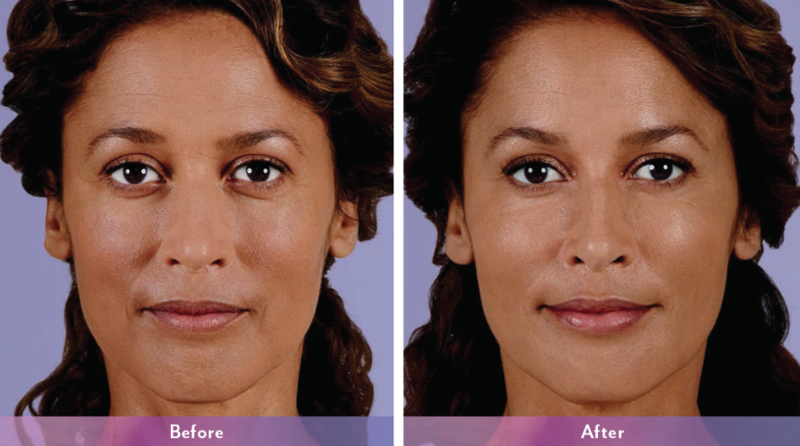 University of Utah Health’s Department of Dermatology is now offering a liquid facelift—a minimally invasive anti-aging treatment that uses a series of injections to provide results after just one treatment. Over time your skin naturally ages. It loses its elasticity and collagen production slows. This can lead to signs of aging such as wrinkles and volume loss—or losing natural fullness in your face that you had when you were younger. By using neruomodulators (such as Botox) and fillers, physicians can tastefully tighten your skin and create fullness once again to reverse specific signs of aging. Our Liquid Facelift special includes a package of neruomodulators and fillers. When used together, these treatments provide immediate age reversing results in one 45-minute appointment. A physician will oversee your care leaving you in the hands of experts. A liquid facelift can produce positive, long-term effects that help you fight the signs of aging. Fillers and neuromodulators take stress off your face and can delay long-term aging. Fillers last anywhere between six months to two years, and Botox lasts up to six months. With consistent visits, upkeep will be less invasive and drastic. Is a Liquid Facelift For You? A liquid facelift is a great treatment for people who’ve had cosmetic procedures before, as well as first-timers who have been curious and waiting for an opportunity to try them out. Working directly with a physician is the safest way to address your aesthetic aging concerns. In order to best asses your individual treatment plan, we will ask you to come in for a free 15-minute consultation before your official visit can be scheduled. You will meet with a board-certified dermatologist who will speak with you to discuss what problem areas you would like to address. Our board-certified dermatologists will give you an expert opinion on where you would receive the best results. Submit a request a consultation form or call 801-581-2955.